Our commitment to build and maintain excellence has drawn recognition from industry peers and the City of Chicago. Here are four awards FS has earned the past fiscal year. 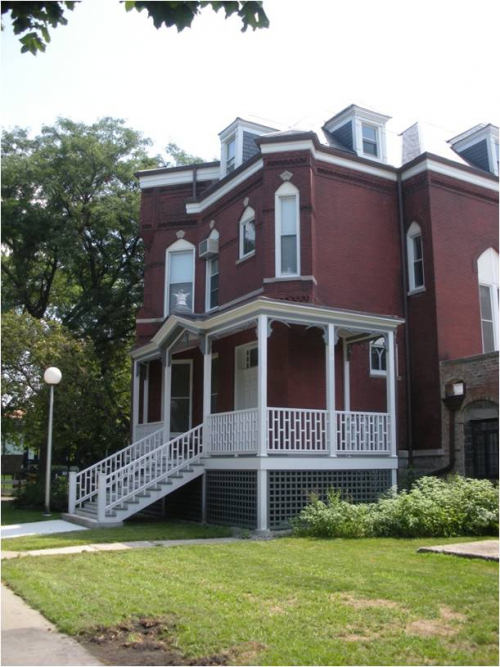 The Commission on Chicago Landmarks awarded its Preservation Excellence award to FS for the renovation of the Lorado Taft Midway Studios, a complex of structures that includes a 3-story masonry house, a barn (moved to the site in 1929), and various additions constructed of salvaged materials. The renovation included the replacement of various skylights, installation of new roofing, replacement of a deteriorated cupola, and exterior wall repairs. This was the first-ever Preservation Excellence award the city has bestowed on a University of Chicago project. The Society of College and University Planning (SCUP) bestowed its Honor< Award to FS and Ann Beha Architects for Excellence in Planning for a District or Campus Component for the adaptive reuse of 5757 S. University Ave., know known as the Saieh Hall for Economics. The Chicago chapter of the American Institute of Architects (AIA Chicago) honored two FS projects at its 58th Annual Design Excellence Awards, both designed by David Woodhouse Architects. The Young Memorial Hall entry canopy won a Divine Detail Award, Citation of Merit for its "dynamically variable materiality" and "strength in different directions." 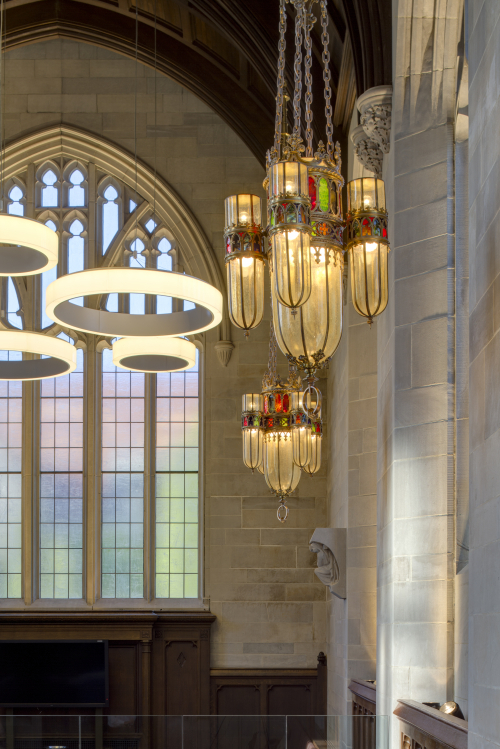 In addition, the Bond Chapel Reneker Organ installation project earned a Divine Detail Award, Special Recognition. 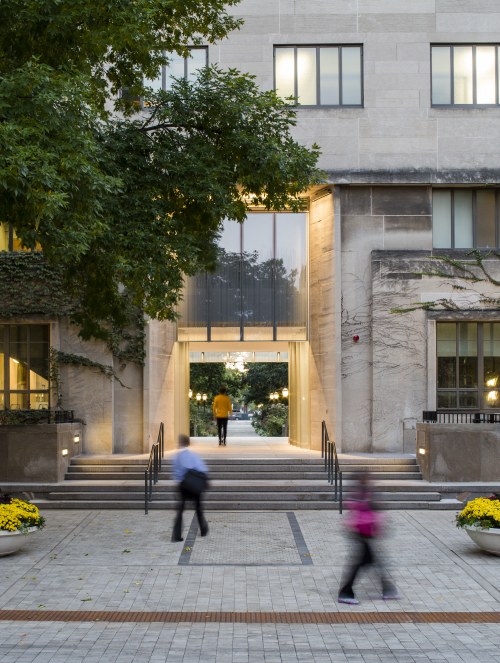 The Chicago Building Congress (CBC) awarded a Merit Award for construction under $15 million, recognizing a "distinctive, functional or innovative design" for the Edward H. Levi Hall portal project.